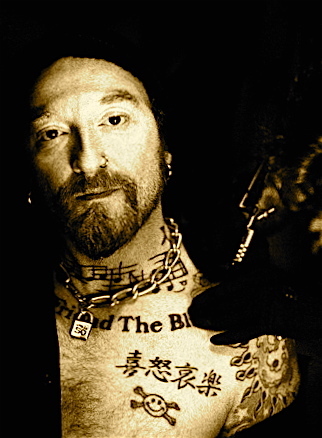 Now most of my friends seem to hold The Wildhearts, Ginger Wildheart and all his associated work in very high esteem, and although I saw The Wildhearts once as a support act back in about 1994 I’ve pretty much ignored them for the last 20 years. I’m not really sure why this was the case, but I guess 18/19-year-old me decided that I didn’t like them without really giving the band a chance or properly listening to anything they released. The Wildhearts and Ginger’s subsequent work just passed me by. Knowing how much my mates, the media, and fans online seemed to support and love him / the band, I knew I was probably doing myself out of something. A few months ago I learned that Ginger was the support act for The Darkness, who play Glasgow in March 2013. Now given this opportunity to see Ginger in a few months I decided it would be an ideal chance to get listening to some tracks and see if I can become a fan; only I had absolutely no idea where I should begin. I am an avid Twitter user and love how it provides the opportunity to discuss and share thoughts about any subject (but music for me) with fans around the world in addition to with the musicians directly. Therefore I turned to the man himself and asked the question of where should I start. Rather brilliantly (already he impressed me with this move) he asked the question of his Twitter followers. Guys, please suggest a song for @musicscramble to listen to. Ginger/Wildhearts virgin wants to know what to expect at The Darkness gig. Fifty years ago today, in just 2 minutes and 22 seconds the world was changed forever. On the 5th of October 1962 a new band known as The Beatles released their debut single, “Love Me Do” and from that point forward a revolution began. Pop music had been very much manufactured and produced out of “tin pan alley”-style writing houses and with “Love Me Do” a Northern, working-class voice woke the nation’s music-loving generation to a whole new world. Queen. And Why You Should Love Them! Queen. Love em? Hate em? To me Queen are a band that defined my youth. I listened to them because my elder brother listened to them. He loved them. I loved them. Brother went to college. I stole his records. Cliff Burton – Another Year! Jeez! I honestly can’t believe it was a year ago that we posted a tribute on the 25th Anniversary of legendary Metallica bassist Cliff Burton’s death! We are not planning on making this an annual thing given there are so many amazing musicians who we have lost over the years, but another year already!? Cliff Burton is one of the greatest bassists I never saw, and as part of Metallica – writing and recording on their first three albums – he heavily influenced their sound. The classic intro to ‘For Whom The Bell Tolls’ on Ride The Lightning, or the majesty of ‘Orion’ from Master of Puppets are perfect examples of Cliff’s style and input to the band. However on their very first album Kill ‘Em All, Cliff plays a bass solo called ‘Anaesthesia (Pulling Teeth)’ which is probably the best bass solo ever recorded. If you thought bass was boring, think again. Click below to watch a blistering live performance of that very track. ’Lover Alot’, the new single proper from Aerosmith has just been released. It’s the first new material proper in a long time and I have to say I’m a little underwhelmed. Sadly this is just like I was underwhelmed when I heard ’Legendary Child’ the track recently dug up from Get A Grip demos and given to the G.I. Joe: Retaliation soundtrack. Hmmm. This is a little worrying as I am a massive Aerosmith fan, owning all their albums, and witnessing many live gigs including flying around the world to see them (including a cheeky trip to Vegas). The purpose of the 10 Song Playlist articles on Musicscramble is to highlight 10 tracks which you really should hear of a given band. It is not necessarily meant to serve as a “Best Of” or the “Top Ten Songs you MUST Hear”. Often with music your favourite songs change and therefore songs which make the list today may well not if it was written tomorrow. And for no band is this more true than with Pearl Jam. Ten years ago I was playing Tony Hawks Pro Skater 4 on Xbox when this completely barmy song came on. It was clearly an old punk tune, but it had the strangest vocal I’d ever heard and was different from the norm in that it was amusing rather than the usual angry punk fare. It went on to become one of my favourite songs from the game’s soundtrack. That song was “Dig That Groove Baby”. Jump to present day and I’m driving to work when it popped on the iPod’s shuffling selection. I chuckled away and immediately put the whole album on to listen to, and boy am I glad I did. I’d forgotten just how good it was. 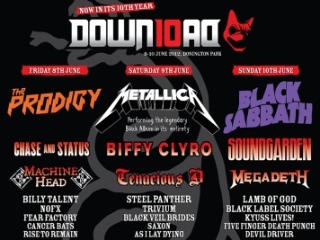 Musicscramble are off to Download Festival today. Enter your email address to get Musicscramble delivered to your Inbox when new articles are written.